The mission of our #healthysaratoga movement is to ensure Saratoga County is always one of the healthiest places to live, work and play. Local employers and their employees are invited to join this movement. Generally, those who join the movement recognize that healthy employees tend to be happier and more productive. They realize that there are ways in which employers can positively support the achievement of the personal wellness goals of your employees. Employers who join the movement strive at all times to create and support a safe and healthy workplace too. 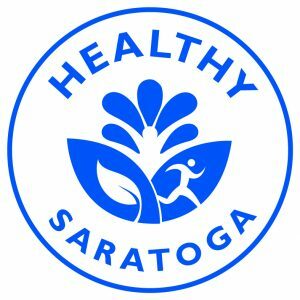 A simple way to demonstrate that you believe in this mission and purpose for your workplace and our community is to TAKE THE HEALTHY SARATOGA PLEDGE. Use the pledge form to share with us the steps you are taking or plan to take this year to support the health and wellness of your employees. Completed pledges can be emailed to Sara Thornton at sthornton@saratoga.org or faxed to the Chamber at 518-587-0318.